MADISON, WI-The Wisconsin Historical Museum announces a wide array of events for all ages this summer and special summer hours! June 1st through August 31st the Museum gallery hours and Museum Store hours are 9:00 am to 4:00 pm, Tuesday through Saturday, 12:00 pm to 5:00 pm Sunday. Join us each Wednesday in July to learn about a different style of art and create your own masterpiece. An adult must accompany youth participants. Cost is $2 per project. Each session will last approximately one hour. & 1 pm. Learn about this traditional painting method brought to Wisconsin by Norwegian immigrants and create your own piece to take home. Wednesday, July 9 * Photography. 11 am & 1 pm. Explore the innovations developed by early Wisconsin photographers and pose for a vintage-style photograph. Wednesday, July 16 * Pottery. 11 am & 1 pm. Discover how Wisconsin’s earliest residents added decorations to everyday objects and try your hand at making your own pottery. Wednesday, July 23 * Watercolors. 11 am & 1 pm. See the works of folk artist Paul Seifert in the exhibition Wisconsin in Watercolor and paint your own watercolor scene. Wednesday, July 30 * Commercial Art. 11 am & 1 pm. Explore the use of commercial art by Wisconsin businesses and design your own personal logo. Saturday, June 14 * Saturday, July 12 * Saturday, August 9 * 10 am-2 pm daily. Visit the Museum on the second Saturday of each month this summer and let your creativity flow with an activity inspired by the exhibition Wisconsin in Watercolor. Make in-gallery sketches and then use watercolor paint, color pencils, or markers to complete your work. An adult must accompany youth participants. Suggested donation of $2/person. Thursday, June 12 * 7-8:15 pm. 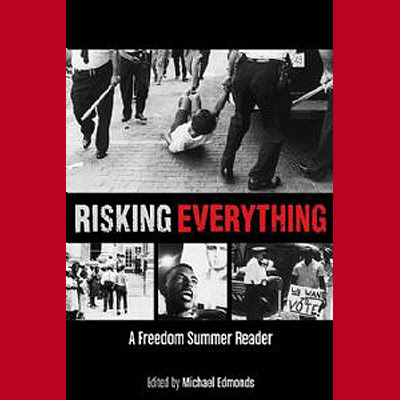 Explore the 1964 Freedom Summer movement through vivid primary sources. Michael Edmonds, Deputy Director of the Wisconsin Historical Society’s Library-Archives, shares how and why the Wisconsin Historical Society came to own one of the nation’s richest archives on the Civil Rights Movement. Suggested donation of $2/person. Bring a lunch to this informal brown-bag lunch-and-lecture series. Suggested donation of $2.00/person. This project is supported by Dane Arts with additional funding from the Evjue Foundation, charitable arm of The Capital Times. Tuesday, June 3 * Preserving Works of Art and What the Materiality of Objects Teaches Us. 12:15-1 pm. Chazen Museum of Art Curator Maria Saffiotti Dale presents an introduction to the field of art conservation and discusses individual paintings and other works of art from the Chazen’s permanent collection that have undergone conservation treatment and scientific analysis. Tuesday, June 17 * Cold War University: Madison and the New Left in the Sixties. 12:15-1 pm. Matt Levin, author of Cold War University, shares how the University of Wisconsin-Madison became one of the hubs of student political activism in the 1950s and 1960s, adding texture to the history of national youth protests of the time. A book signing will follow the presentation. Tuesday, July 8 * Wisconsin Printmakers. 12:15-1 pm. Printmaking has a rich history in Wisconsin, starting before statehood and following local and international artistic trends. Drew Stevens, Curator of Prints at the Chazen Museum of Art, traces the tradition and looks at where it stands today. Tuesday, July 15 * Viskonsin! Yiddish Radio in Badgerland. 12:15-1 pm. Tuesday, July 22 * A Photographic Journey Through Early Excavations at Aztalan. 12:15-1 pm. Aztalan State Park naturalist Kurt Sampson presents photographs taken during excavations of Aztalan in 1919, 1920, and 1932 which detail the site’s unique prehistoric occupation.Tuesday, July 29 * The Strange Origins of Modern Medicine. 12:15-1 pm. Historian Erika Janik shares some of the eccentric narratives from her book Marketplace of the Marvelous: The Strange Origins of Modern Medicine. A book signing will follow the presentation. Tuesday, August 5 * Stories from the Days of One-Room Schools. 12:15-1 pm. Susan Apps-Bodilly, author of the book One Room Schools: Stories from the Days of 1 Room, 1 Teacher, 8 Grades, chronicles life in Wisconsin’s early country schools. A book signing will follow the presentation. Tuesday, August 12 * Art and History at Shake Rag Alley. 12:15-1 pm. Ainsley Anderson, Director of Performing Arts at Shake Rag Alley Center for the Arts, discusses the history of the Shake Rag Alley grounds and the artists who seem to be magnetically drawn to the location. Tuesday, August 19 * The Folk Art Treasure of Ernest Hüpeden’s Painted Forest Murals. 12:15-1 pm. David Smith, Edgewood College Professor of Art and Director of the Painted Forest, shares how Ernest Hüpeden’s masterwork relates to the history of Modern Woodmen of America and the rich tradition of folk art in Wisconsin. Explore the rich culinary history, delicious indigenous ingredients, and remarkable foodways of Wisconsin. Reservations are required. WHS members receive a 10% discount on ticket prices. Call 608-264-6555 or visit shop.wisconsinhistory.orgto reserve your space. For more information emailmuseum@wisconsinhistory.org. Saturday, June 21 * Creating Dairyland Farm Breakfast. 8:30-10 am. Celebrate National Dairy Month with a farm-themed breakfast and presentation as Ed Janus, author of Creating Dairyland, shares how caring for cows created our landscape and shapes our way of life today. Enjoy a hearty breakfast catered by Brocach that highlights goods from local farmers and then take a stroll around the Dane County Farmer’s Market. Cost to attend is $15. Registration and payment required by Friday, June 13. Tuesday, July 22 * Outside and In-State: Self-Taught Artists in Wisconsin. 6:30-8:30 pm.Graeme Reid, Assistant Director of the Museum of Wisconsin Art, discusses Wisconsin’s remarkable history of artists who have remained outside traditional ways, media, and outlets for their work. Savor the flavors of summer with a dinner by Underground Catering. Cost to attend is $30. Registration and payment required by Tuesday, July 15. Thursday, August 7 * A Migrant Worker’s Journey from Fields to Stage. 6:30-8:30 pm. Singer-songwriter Cris Plata recounts his travels across America as the son of migrant workers and shares how he, a migrant and the son of an immigrant, decided to make Wisconsin his home. A Texas-style dinner will accompany the program. Cost to attend is $28. Registration and payment required by Thursday, July 31. On exhibit April 8-August 30, 2014 German immigrant Paul Seifert (1846-1921) came to Wisconsin in 1867 and embraced the landscape of his new home in the state’s Driftless Area. He is best known for his vibrant watercolor farm paintings, which are beloved locally and highly desired by collectors nationally. These paintings depict Seifert’s vision of the area’s natural beauty and its built environment of farms and towns. Featuring 17 original paintings, a family-friendly sketch station, and a touchscreen interactive that allows for in-depth exploration, this is the first solo exhibition of Seifert’s art. This project is supported by Dane Arts with additional funding from the Evjue Foundation, charitable arm of The Capital Times. Explore the stories of Wisconsin’s Native Nations and Tribes. Enter an Aztalanstyle house, investigate the science of archaeology, experience a trading post from the fur trade era, and more (permanent exhibition). ON COMMON GROUND: Two Hundred Years of Wisconsin History Explore themes unique to Wisconsin history from settlement days to the present. Discover a frontier lead mine, track immigration routes, explore work and play in a lumber camp, and examine Wisconsin’s political heritage (permanent exhibition). This summer we will be featuring Wisconsin Biographies, a series of animated films created by the Wisconsin Media Lab. Step into our Theatre to enjoy this 30-minute program during your visit!